Perch brighten a bleak day. Reports of huge bags of dace coming from the river Thames at Windsor led me to suggest to my wife, that I would drop her off at Windsor High Street for some window shopping, on my way to fish at Home Park in the shadow of the castle. She could then enjoy a pleasant walk down to the river, where I would be hammmering out dace one a chuck. All was agreed, but there was one problem, the Windsor tackle shop was now an estate agent and I needed bait. No problem, I had plenty of hempseed, punch bread and some sweet corn, while in the back of my fridge were some maggots tightly sealed in cling film, unused from a previous outing two weeks before. I’d been informed that they would keep for long periods, if sealed from an air supply and kept cold, going into hibernation. I unwrapped them and sure enough they began to move, putting them in a bait box, then leaving overnight in the fridge. 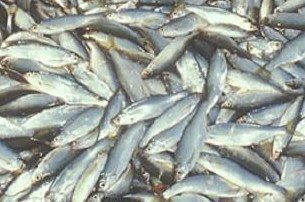 This was a mistake, as by morning, they were already turning to casters, but they would do for the day’s fishing. 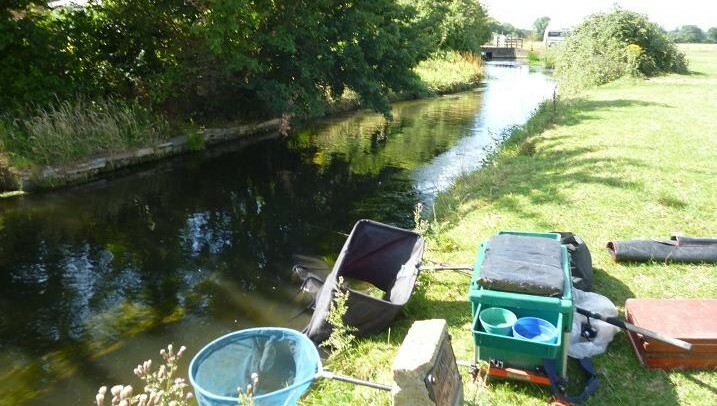 A picnic lunch was assembled and we were off to the shops, then on to the riverbank, where with tackle loaded onto my trolley, I began the long walk to the noted pegs, but only a third of the way down the bank, I was already flagging and stopped off at a likely looking swim. It looked perfect, not too much flow, running left to right into an overhanging tree, the only down side being the sight of bleak topping, these small silver fish running in large shoals near the surface, eager to grab any offering. 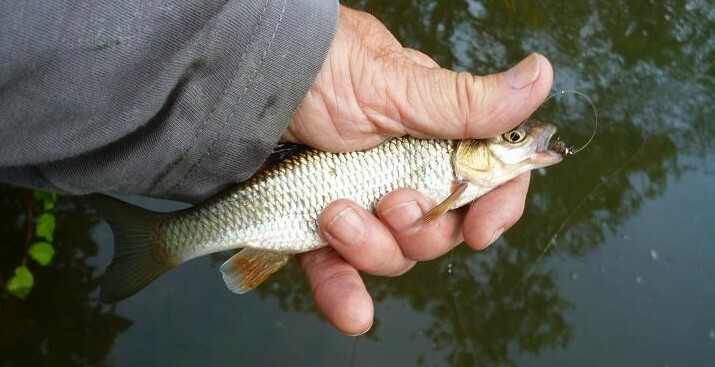 The target dace feed near the bottom of the river and decided to fish a 6 BB balsa stick float, with the shot bulked to within 18 inches of the hook, to punch through the bleak down to the dace. Also to discourage these bait stealers, I opted to feed only with a bait dropper, placing a line of mostly hemp seed, mixed with a few casters, 8 feet down on the bottom, a rod length out, using my 14 foot long float rod. So much for the theory, first cast in the float raised almost flat, as the caster was taken on the way down, a lift of the rod resulting in the first of many bleak being swung in. Only in the water for a few seconds, the caster was well down the fish’s throat, needing the disgorger to be used to retrieve the hook. 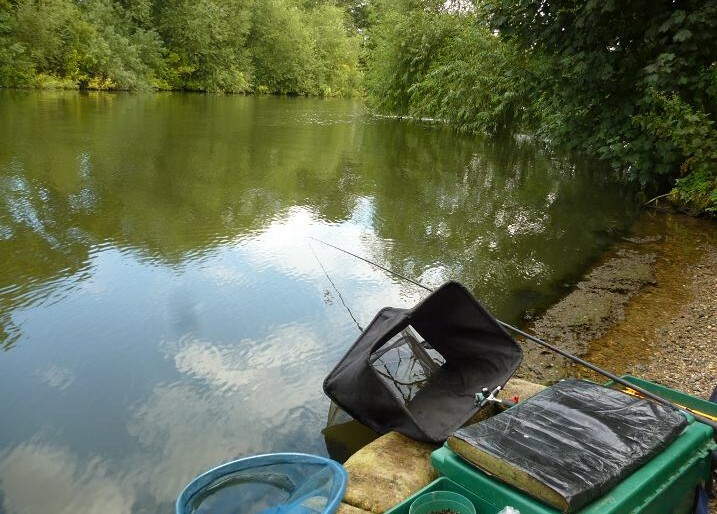 Maybe I could fish my way through them, my net soon filling with the unwanted bleak and was losing hope, when the float got through, to be held down with a proper bite, my rod bending over to a decent dace, juddering away to the surface and the landing net. False alarm. More bleak with the odd dace to keep me interested. I tried different baits, hemp straight on the hook getting down, but only giving short stabbing unhitable bites, bread and sweet corn, more bleak. I gave up on that line, shallowing up the float, to trot the inside shelf in search of a few predatory perch. First cast, the float gave a couple of dips, then slid away and the rod bent over with the initial rush of a 4 oz perch. This would do until my wife turned up, casting in again to be met by a similar bite, but this time the rod doubled over with the full bore run from a far larger fish, that headed toward the middle of the river, as I back wound the reel to avoid a break. Briefly the green flank, barred with the black stripes of a big perch broke the surface, before diving again, but coming closer to my out stretched net. 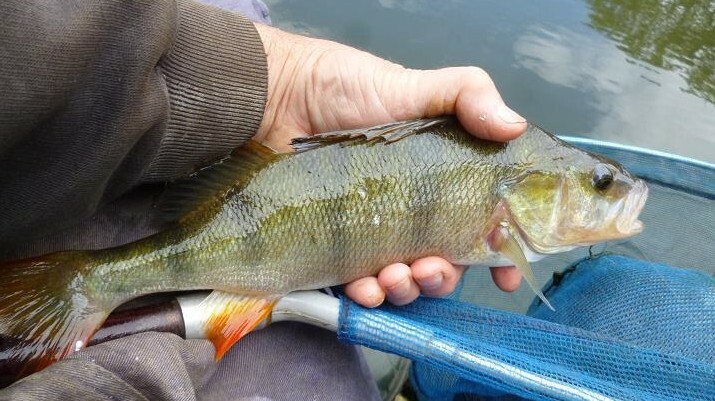 This was worth coming for, the perch taking a single caster on a size 16 barbless hook, that was lodged in the scissors of it’s gaping jaw, being relieved to finally get it in the net. More small perch lined up, running the gauntlet of the bleak, which were still trying to be first to the bait, hooking into another quality perch, just as my wife arrived, this one fighting as hard as the first, although slightly smaller, taking my time, allowing it to run where it wanted, until it was on it’s side on the surface. A couple of last minute flips on the top and it was mine. Spine erect, this was the last decent fish of the afternoon and I rested my rod, one eye on the float, the other on the picnic, interrupting the mouthfuls between fish. Soon even the perch were gone, the float reaching the overhanging trees, where 3 inch baby chub raided the hook and it was time to declare “Last Cast”. Not all days go to plan, that’s fishing, if it had, I probably would not have seen these perch and my wife would not have got home before the rush hour began. Feeling disenchanted with my local syndicate trout stream, due to the dearth of rising trout, I had found other waters to explore. 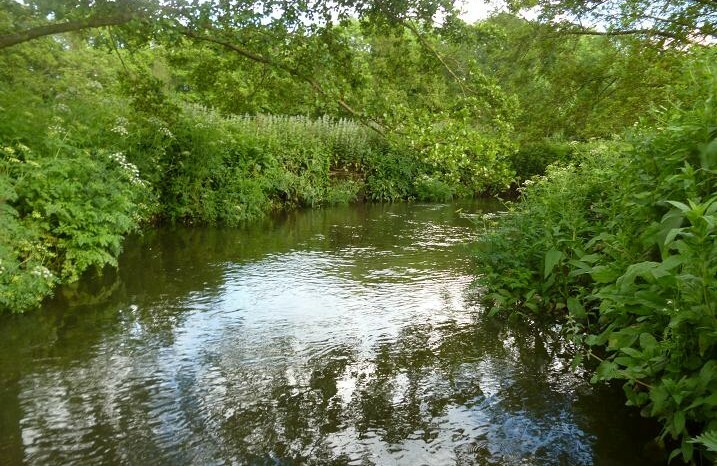 Reports from a friend, who fishes a syndicated part of the river Meon, only a mile from his house and has been catching rising brown trout on his home tied dry flies, reactivated my desire to give the river another go. It was five weeks since my last visit, and I was not encouraged by the sight of the river, gin clear and barely covering the stones, but I stared in near disbelief at the sight of a fish rising, then another in a tree lined pool, not needing long to wait to snap this shot. I circled away from the river and waded into the shallows downstream of the pool. I didn’t want to disturb whatever was feeding on the surface, even if it was only dace. I keep my rod made up and an unweighted Hares Ear nymph was already on the line, into which I squeezed some Mucilin, then wiped my fingers up the leader 6 inches from the fly to aid buoyancy. There is a deep run to the right of the pool, where most of the rises were and moments after the ring from the nymph’s entry had begun to spread, a boil indicated a confident take, tumbling a small dace out of it’s complacency. The dace continued to swirl at the half sunk nymph and I hooked another, but was puzzled, as to why they were rising so freely, when no apparent surface flies were visible. On recent visits, there had been many types and sizes lifting off, but no fish chasing them, now it was the opposite. An Elk Hair Emerger was tied on, only to be nudged and sunk by the curious dace, while it was completely ignored by an obvious trout, feeding steadily further up among the trees. Rooting through my dry fly box, I found an old Cul de Canard, one of many tied by a long passed friend and squeezed in more Mucilin, knowing that this would survive the knocks of the dace, while remaining attractive to better fish. First cast it disappeared in a splashy take by another dace. Time to move down river. 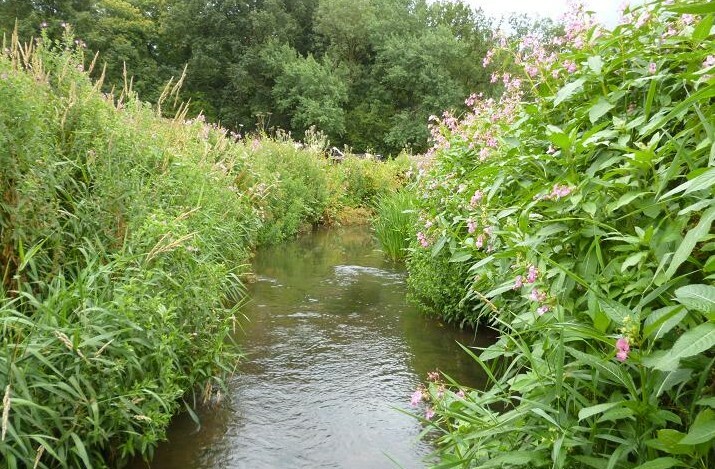 The club usually have a Himalayan Balsam pulling session each year in June, but for some reason this season, it was missed off the calendar and this is the result, 6 ft high invasive plants buzzing with bees, ready to send their seeds downstream. In the past, clumps of alders and willow have sheltered some big trout on this 50 yard stretch, but on their removal by the farmer, so went the trout. There are still a few left in the deeper pools, along with some chub, but today it was more dace, this being the smallest yet. Time was getting on and I walked back upstream, six dace did not compensate for one trout and I was already feeling disillusioned, remembering what a good fishery this had been, when I joined the syndicate four years earlier, my mood sinking deeper at the sight of a mink chasing a fish round the small weir pool on my approach, seizing it’s prey in a burst of bubbles and mud. Winter floods have pushed many of the stones of the weir from their places, robbing the pool of much of it’s character, while reducing the level above, but it can still provide a few surprises and on cue, a decent fish rose under the trees upstream. With the levels reduced, it was safe to wade up between the stones to cover the rise, with my back to the bank, making side casts, as I inched my way upstream. The Cul de Canard was hit in a savage take, bending the rod double in an instant, before springing back. I knew without checking, that my fly was gone, inspecting the slight curl in the line, where the knot had been, in stunned silence. Looking in my box, what next? A size 14 sedge was tied on, one of my most successful summer dry flies on this river, being prospected along the roots, the slow pace of the stream creating little drag. I missed a smooth take along the opposite bank, snatching the fly away too soon in my eagerness make up for the lost trout. Curses. A fish rose at the head of the pool and I edged my way up towards it, the overhanging canopy reducing my casting range. At last the line curved round and fell with the minimum of fuss, the sedge settling down in the surface film and drifting a few inches before it was silently sucked down. A pause and side strike changed all that, as a brownie burst into life, dashing about the confines of the pool, bucking and crashing around on the surface. Stay down. At last a decent trout, all I needed was to keep my cool, stay in contact and wait for it to tire, landing net in hand, as it brushed my legs. The barbless hook held and I slipped the net under the pound trout, lifting it clear with relief. The light was reduced under the trees, this being the only picture that was not blurred, the camera going into automatic flash mode. A beautiful wild brown trout, that made up for all my anguish and disappointment earlier. The trout needed little revival, dropping down to swim among the roots. Job done, I climbed out of the river heading home, but could not pass the earlier pool without a few casts, as the surface was ringed with rising fish. The trout was still coming up at intervals between the trees and I ignored the assumed dace to quietly wade within casting range. Again under a fly snatching canopy of leaves, a side cast is the only way to approach this pool and I measured my casts a yard at a time, until the sedge dropped bang on target. Up he came and a determined lift set the hook, as the trout crash dived, powering up toward a welcoming root, taking line in a spurt, then turning across to the opposite bank. This seemed a much bigger fish, too energetic to be a chub, as it zig-zagged about the pool, eventually breaking the surface to be swept into the net. What a scrapper this trout turned out to be, slightly shorter, but barrel shaped and an unexpected bonus fish, that had hatched out and grown quickly on this tiny chalk stream. In half an hour I had changed my mind about the quality of the fishing and will return with a more positive mindset next time. 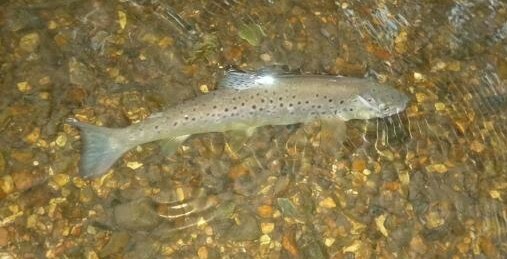 Swimming free, this pristine brown trout needed little recovery time, swimming back to the pool a little wiser. Bread punch dace from the Dirty Ditch. 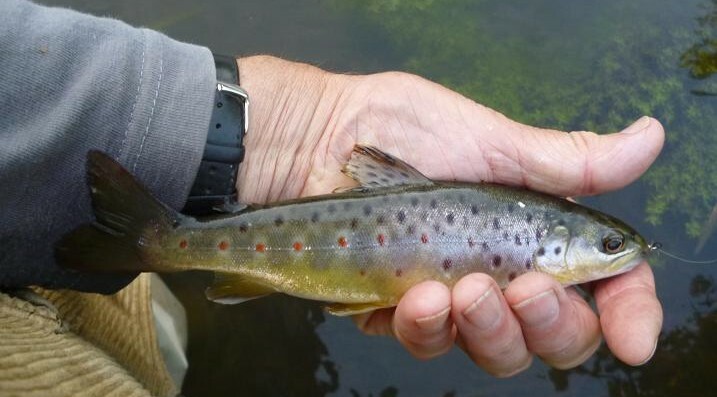 My number one river target this year was a small brook, that borders an ancient common, the fishing rights having become available to my local angling association this year. 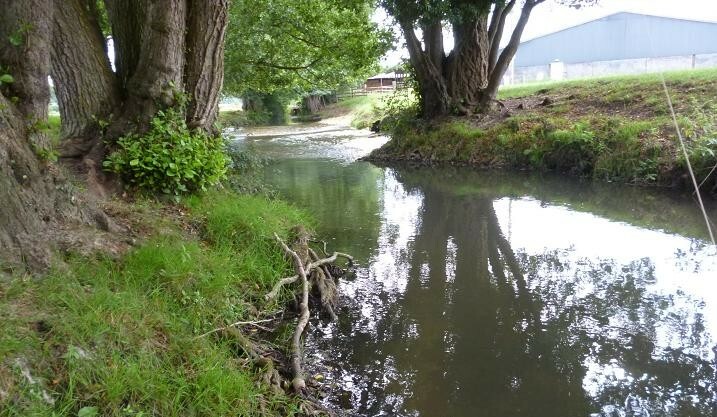 Once named the Dirty Ditch, due to much of it’s water originating from the outfall of a major town’s sewerage treatment works, it has always held large stocks of dace, roach, chub and perch. As lads, we would cycle to where the brook entered the Thames, standing shoulder to shoulder on the bridge, catching roach from it’s black, putrid, untreated torrent. Today it runs clear, benefiting from years of water treatment legislation, it’s warm, nutrient rich flow, aiding rapid growth. Parking up the van, I found that I’d been beaten to my preferred fishing spot by another angler, who had a couple of nice dace in his net within minutes of starting to fish. Walking upstream a further 50 yards, I found a swim, where the main flow was shaded by an oak tree. All looked perfect apart from thick weed, which extended from my bank to the middle, any large fish would have to be lifted over this to reach my landing net. First catch a large fish. I’d intended to fish the brook last week, but forecasts of the hottest day yet, forced a change of plans and despite this, found myself tackling up on another hot morning, this time blessed by a cooling breeze. This water has been in hibernation for many years, fished by a select few and I was keen to find out what would be the result, if I only fished the bread punch as a method. Many years ago, matches were held here and a Scandinavian matchman won, or was placed in all of them. I was picking up places with the stick float over lose fed maggots at the time and wondered, just what he was doing, that was special. Being pegged not far from him on the last match, I went up, before the match began, to glean a few secrets. For a start he was using a pole, while every man and his dog was using a rod with running line to a stick float. The other revelation was, that his bait was a bag of small cubes of rolled bread crust, these to be introduced in a bait dropper to keep the fish close. He was obviously a competent angler and went on to win the 5 hour match with 15 lbs of silver fish, mostly big dace, with a smattering of roach and chub, many being swung to hand on the pole. 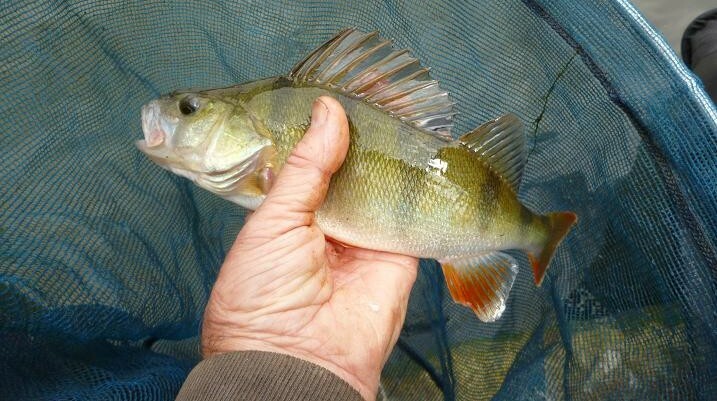 Incidently I was second with 12lb of perch, backed up by dace and roach, my maggots attracting the predators. No more open matches were held on the water and this was my first visit since then. Time to put bread to the test. With a depth of only two feet, I set up with a 3 No 4 Ali stemmed Middy stick float, to a size 16 barbless hook. 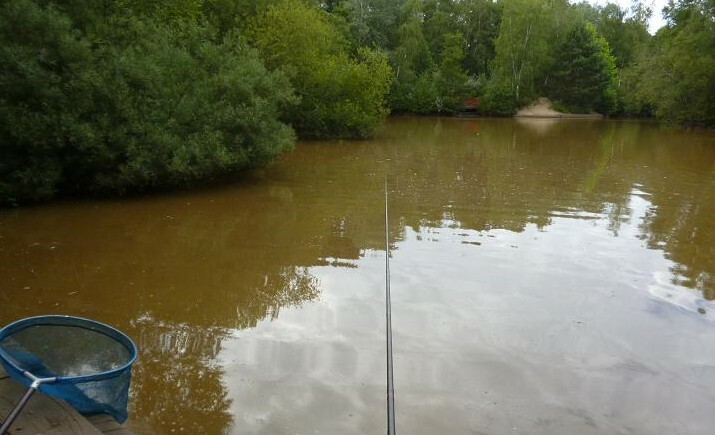 With dace I prefer to use my 12 ft Hardy match rod, which has a soft through action, ideal for the tumbling, diving fight of dace, but with the weed bed extending beyond it’s length, I opted for the stiffer Browning 14 footer. I was tempted to use a pole with heavy elastic, but thought that this was a bridge too far. As well as liquidised bread and rolled punch, I had a safety net of red maggots, just in case the brook was full of perch. An egg sized ball of bread was squeezed hard and dropped in a yard upstream along the opposite bank, sinking quickly amid a cloud of lose particles, soon followed down the swim by my float. It was dragged under by an eager dace, swinging the first of many to hand. Not big, but a hard fighting first fish, which was followed by another next cast. 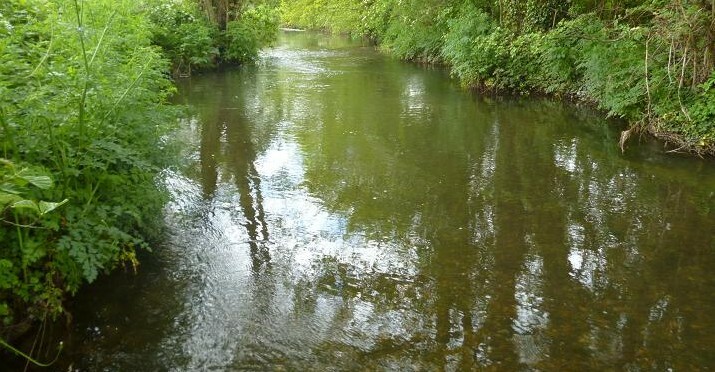 Without feeding any more, bites were coming thick and fast, many of them too fast, the float dipping and bobbing in classic dace style, but most sinking out of sight before they reached the shade of the tree. A better fish took and the landing net reached out over the weeds for not the last time. 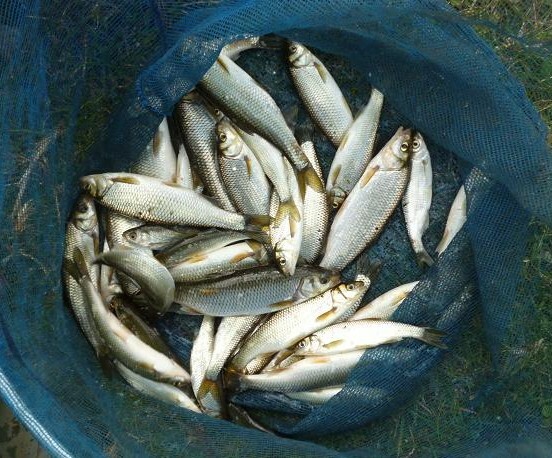 Many of these dace were not pristine, evidence that, so close to the car park, these swims were already getting a hammering from other anglers. Each time the bites slowed, a small ball of bread would bring them back, shallowing up the float, resulting in it diving out of sight, with yet another small dace jiggling on the end. As the sun climbed, so the wind increased, blowing hard upstream to halt the progress of the float, which I countered by increasing the depth. 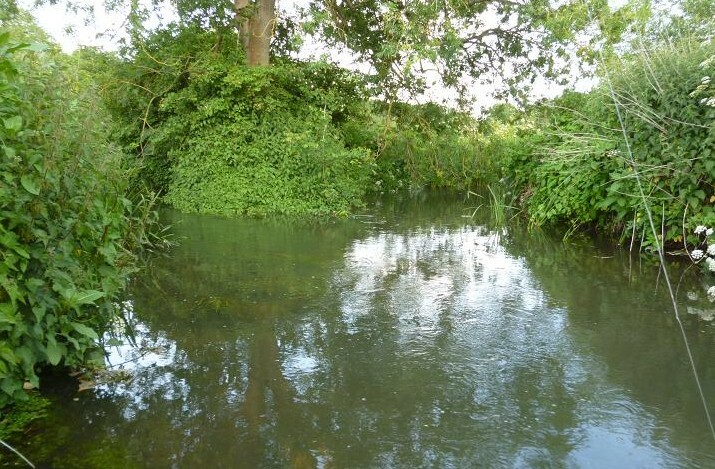 A rare, twenty yard trot without a bite, saw the float bury, taking line and I struck into what I thought was a chub, that dived beneath a bramble bush. With the initial fight over, I reeled the fish back to see not a chub, but 12 oz dace, a monster for this species. It dived into the weed, but was able to bring it back to the surface and stretched the net out to reach, only for it to dive again, this time to transfer the hook in a flash of silver. The sun and wind were now blow drying my punch bread, curling the edges like a Bitish Rail sandwich, which remained moist on the underside, while the top dried out. Wrapped in cling film to keep it fresh, I tore off small pieces to punch. Missing from my armoury was an atomiser spray, which could have controlled the rapid dry out of my bait, but a judicious approach and keeping the supply covered, saw me through. After losing another fish in the weed, I walked down to my fishing neighbour, putting a ball upstream when I left. He had been catching steadily, a mix of perch, dace and small chub on red maggots, while my bread had only caught dace, many being netters. He was getting ready to pack up, although bites were still coming strong and I took a pic of his fish, and was surprised to see the chub. I hadn’t had one. He had about 3lb of fish, not bad for a morning’s work. Back at my swim, the wind had now become much gustier and decided that fishing over depth was the only answer, swinging the tackle downstream and holding back hard. This worked, the float sinking steadily away and a good dace was fighting to the net, playing it to the surface, then sliding it across the weed to be scooped to safety. Then I lost three fish in succession, the short line to the float allowing these better dace to bounce off against the stiffer rod, a rapid backwind on contact, solving this problem. 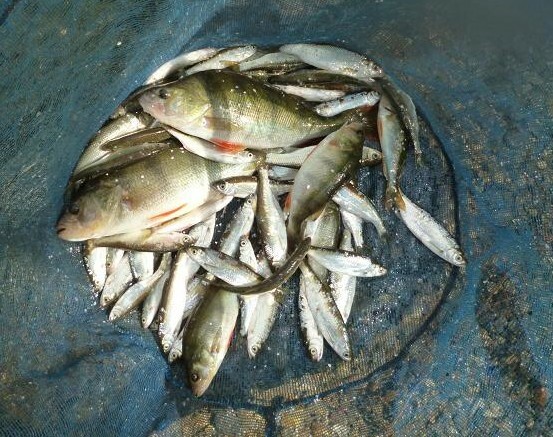 I was now netting some real clonker dace, or “kippers”, due to them being the size of herrings, these fish on the bottom Hoovering up the bread feed. It all ended with another good fish slipping the hook before the net, the float pinging up to wrap round the rod top. I was sure that I had an identical float on a winder in my box and snipped the tangled rig off. I was wrong. In the close season, I had made up new float rigs and put them on a multiwinder ready for this very occasion, but where were they? Still sitting on my work bench awaiting transfer to my box. Oh well, I was only going to give it another 20 minutes anyway, it was now too hot for comfort and decided to call it day. 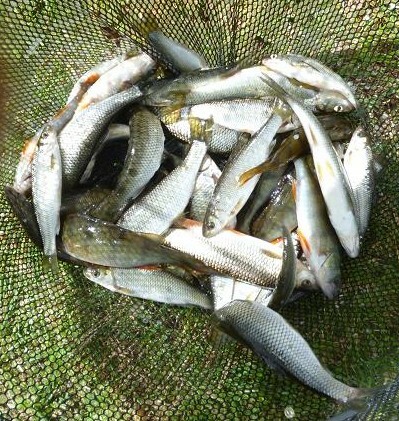 Over 40 dace, which put 6lb 6oz on the scales, vindicating my use of the bread punch and a good reason to return. Carp challenge from the shallows. Clear skies and blistering heat deterred me from my intended fishing spot on an open banked river, the dace, roach and perch having to wait for a cooler day, opting for small lake a mile from home, later in the day. Created as a balance pond to take flash flood waters from a brook, that runs through the housing estate, the lake sits in a hollow with a small island in the middle, the depth set by a dam to a mere two feet, although capable of taking six feet of extra water. Unlike my other local still water, this lake only has rudd and common carp, plus a few grass carp. There are no lilies, or weeds and appears quite barren, but the heavily coloured waters hold a few surprises for the casual angler. On my doorstep, with free parking only yards from the bank, I should fish the lake more, but it is a water, that I have not sussed out the killer method for, my results being random, rather than predictable. Having said that, I have caught some respectable sized carp up to 8lbs here and been broken by larger fish still. I do not consider myself as a carp fisherman and am not equipped to catch the bigger specimens, stepped-up carp rods not my thing. In the past a 9ft 6in feeder rod had been pressed into service to fish a float rig, but found lacking at close range, to control these powerful fish at the landing net. This time I’d set up a 14ft carbon match rod to 6lb line, with a loaded insert waggler float and a size 14 forged barbless hook on a 5lb link. When I arrived, carp were cruising around with their backs out of the water and I settled my box between two trees, that were growing out into the lake. Plumbing the depth, there was only 20 inches of water off the end of the tree to my left and set the float to 18 inches, just clear of the muddy bottom, burying the hook in a grain of sweet corn. 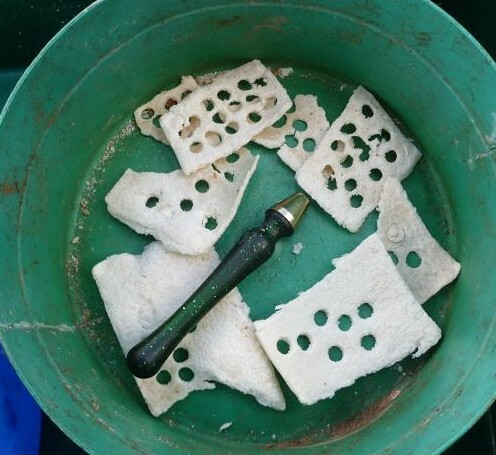 I mixed up a 75% bread to 25% ground trout pellet ground bait, wetted down to just hold into a ball, putting four balls into a 4 ft square area, just off the end of the tree. 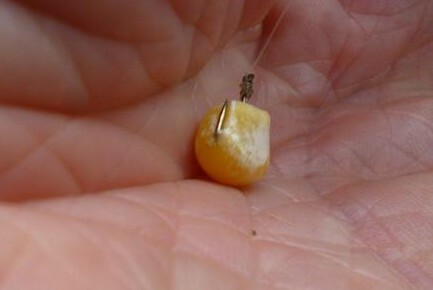 A dozen grains of sweet corn were catapulted over the ground bait and I cast into the middle of the feed. With so many carp around the tree, it wasn’t long before bubbles and clouds of black mud began to stir, my float dipping and swaying, as fish nudged the line. 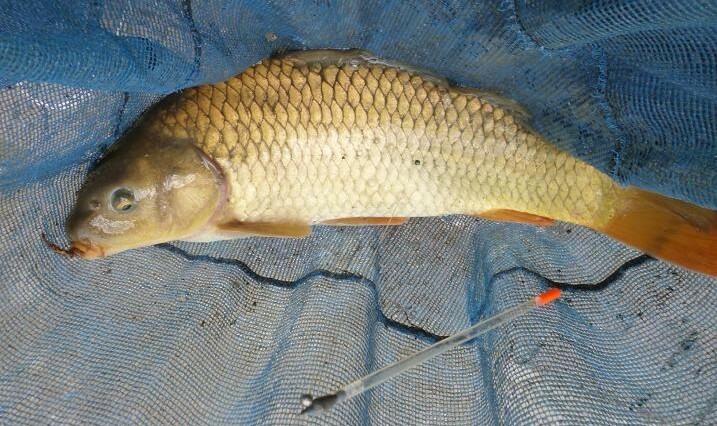 The orange tip submerged and line followed float, as the corn was taken, a smooth firm strike to the right, bringing an instant response with an explosion on the surface from a rapidly accelerating carp, that forced the rod down to the surface, allowing the reel to spin free to absorb the initial rush. In such shallow water every run and turn was transmitted straight to the rod, trying to counter with opposite pressure, while keeping the rod as upright as possible. Reeling hard, the carp was arcing round toward the tree on my right, passing under it and emerging with a branch in tow, acting as a parachute and coming closer to my outstretched landing net. It was not going to be that easy and the common rolled, before heading back out toward the middle, shedding the branch en-route, kicking up a shower of spray as it did so. At last it slowed and began rolling against the pressure, swimming toward the bank and my net. Still full of fight, the 4lb common carp tried to jump back out of the net several times, this being the only time it was able to pose for the camera. The hook was easily removed from the side of it’s mouth and was returned minutes later. All activity had now stopped in the baited area, but it wasn’t long after more feed, that bubbles began bursting on the surface again. The float dipped, then sailed off, the strike hitting soft resistance as a small rudd bounced across the top. The six inch fish had swallowed the whole grain of sweet corn down to the back of it’s throat, needing the disgorger to extract the barbless hook. Delaying the strike had allowed it to take the hook down, the next rudd being struck as the float sank. Yes, we all know what happened next; on the fourth rudd bite, the strike hit solid resistance, lightly hooking another carp, which ran into the next bay, before the hook pulled out. Curses. More feed and more waiting, interrupted by the occasional decent rudd, kept me occupied, but the bubbles had ceased. Checking my watch, it was still only 7:30 pm, the time that I felt the carp should be coming on the feed, but not in my swim. Other anglers had arrived and set up, but none had caught yet and was considering copying the two guys to my left, who were legering big bread baits close to the island, when I realised, that I couldn’t see my float. Picking up the rod, I felt tension on the line and lifted slowly. Bang! I was in again, the line zipping beneath the tree, the water erupting out of sight on the other side. “I’ve got no chance” I thought, laying the rod over parallel to the lake and giving line as it made straight for the tree at the far side of the bay on my left, passing under the lines of the two next door. “Fish on!” Lifting their rods high in the air, they avoided a tangle, allowing me to put full side strain on, to turn the fish away from a mess of branches under the tree and certain loss, it bow waving out to the middle, but in my direction, keeping on the pressure, while retrieving line. In deeper water, the line cut a V through the surface, then the float appeared, as the fish slowed. I was winning the battle, but had a long way to go yet, as it made short, line singing, power surges away, only to be pulled back closer each time. The net was ready, but it veered off, just at the critical time, managing to swim back out twice, before I was able to pull the net toward me, trapping it. At 19 inches long, the scales went round to 5lb, not a specimen by any means, but a hard fighting fish on the wrong tackle, that deserved a quick return, the hook fortunately within easy reach. My neighbours in the next swim were impressed that I had got the carp in at all on my unsuitable tackle, both using rods more fit for beach casting in my opinion. CZ 452 HMR Varmint is a Verminator at long range. My phone rang. “The rabbits are back!” The call was from farmer Ray. I’d cleared the rabbits from his paddock a few years before, allowing him to start using it for stock raising again. Regular visits had kept the numbers in check, but then his daughter needed somewhere for her horse at the start of the year and like all good dads, offered the paddock, which of course was what she wanted all along. 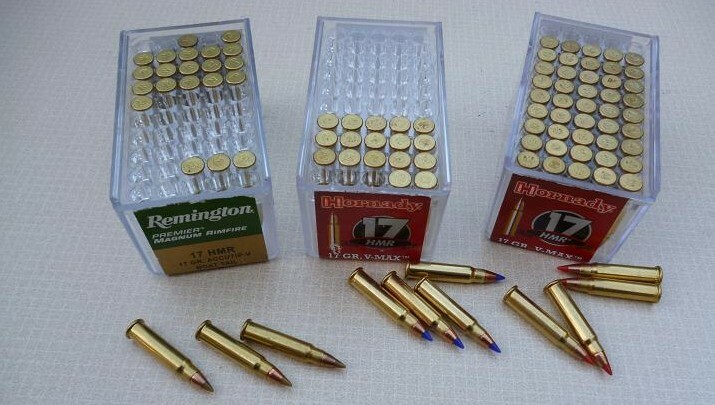 I’d occasionally poked the .22 Magtech over the fence to bag the odd close range rabbit, when the horse was at the far end of the paddock, the rifle firing subsonic rounds through the heavily silenced barrel, not causing any traumas to the equine breed, but the more effective CZ HMR creates a sharp crack, when it’s supersonic bullet parts the air, despite the silencer and was off limits. With the horse on new pasture, it was time for some serious pest control. Meeting me at the gate, Ray was keen to show me the latest infestation, disturbing a pair feeding 10 yards away, which promptly bolted across the paddock, taking with them the half dozen other rabbits on show. If I’d been on my own, the Magtech .22 would have bagged those two, before they had reached the fence. The building site style fence is rabbit proof mesh, but only has the ability to slow down the escapees, as it leaks like a sieve, allowing them to crawl underneath to the brambles on the other side. 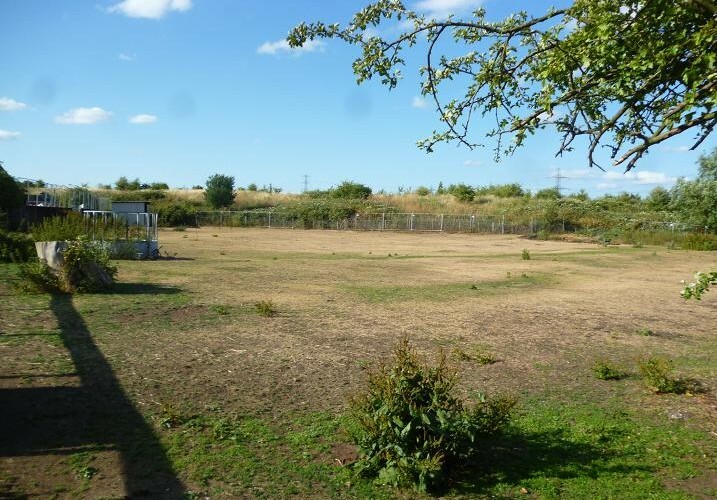 I was shocked that the grass had been eaten to the ground, recalling a visit in late May, when it was at it’s most lush. 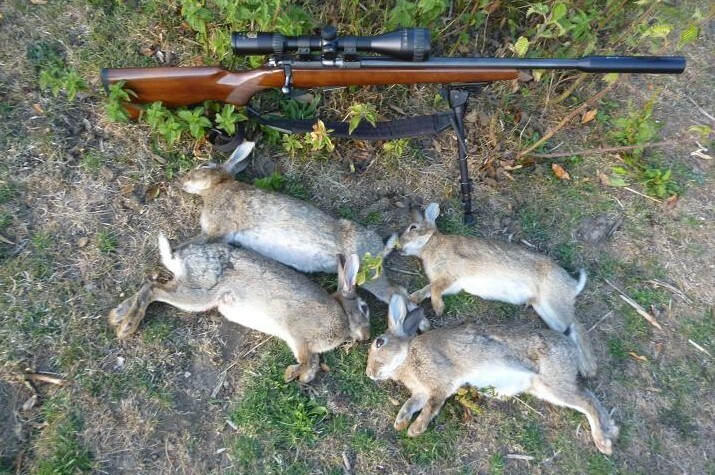 The HMR was now the tool for the job and I returned back from the van to see two sitters, one at 80 yards to my left and one along the hedge line to my right about 40 yards away. The wind was gusting across the paddock, not ideal for the longer shot and rested the rifle on the fence, adjusting the scope down to 4x mag. The rabbit sat stock still, a survival response that has evolved to protect it from predators not armed with supersonic bullet firing rifles. Fortunately for the rabbit, it was sitting head on to me. A head shot at this range, would pass through into the body cavity and destroy the meat, so I waited for it to move round for a side shot. Seeing the other sitter now ambling back to the fence, I swung round to the new target, hitting it between the shoulders, as it climbed the bank beyond. One down, but irretrievable behind the wire, the near one now gone. Waiting in the corner under a shady hawthorn, I had a good view of the paddock, while masked by the shadows and it wasn’t long before there were two dark blobs at the far end, which had not been there a minute earlier. Rabbits have this ability, they sit unobserved at the edge, then sprint ten yards into the open. Resetting the scope to 12x mag, I sighted on the nearest a hundred yards away and squeezed the trigger, slumping the rabbit forward with a well aimed head shot. The other merely looked up. I worked the rifle bolt to eject the empty case, pushing another bullet into the breech and allowing for the crosswind, eased the trigger again, watching the rabbit leap skyward with the impact. Unseen before, another broke cover and made it back behind the wire, my next shot missing as it crawled through the brambles, but the last in the magazine found the spot to halt it’s progress. Clipping a fresh magazine in place, I looked up to see the 40 yard rabbit was back in place to my right, but it bolted back into the hedge, before I could get my sights on it. Ten minutes had passed and no more shows, so it was back to the van for a drink and a sandwich, topping up my spare magazine in the meantime. Ray tapped on the window, to say that the near rabbit was back again and I kept down out of it’s view behind the fence, being ready to fire the moment I reached it, popping up to see my quarry munching away for it’s few remaining seconds, flipping over when struck, to Ray’s applause, looking round to see him grinning, giving me a double thumbs up. The rifle report sent more rabbits scurrying down the left hand side, but they filtered into nettles and safety beyond a hay feeder. Entering the paddock, this feeder gave me cover to spring the tripod into place and settled down prone to wait for them to emerge from their hidey holes over a hundred yards away. A big buck was the first out, sitting erect to scan the area, while the cross hairs were placed firmly on it’s head, the tiny .17 inch dia bullet sent on it’s way from my concealed sniping position. Apart from one more, that ran out, then back again from the nettles, that was all from this position, the population now in spooked mode and I moved round to scan the wire fence again, the sun illuminating the white chest of a sitter high on the bank behind. With Ray watching from his garden, this was the easiest and last target of the evening, the rabbit tumbling like a rag doll to the bottom. Some people ask how I can shoot these cuddly animals, but without control of these vermin, the paddock would soon be returned to a wasteland, so like the Terminator, I will be back! Wild trout top a lazy day. We English always complain about the weather, whatever form it takes and this week was no exception, with record temperatures forcing us to seek out relief, wherever we could find it. Even a tree shaded walk to the local supermarket for more supplies of salad, had my wife and I wilting in the humid heat, but once inside the air conditioned food hall, we perked up, she deciding to make a carrot cake that evening, while I volunteered to get out of her way, by making a visit to my syndicate trout stream. It was still hot as I made my way down the river, noting that since my last visit a month before, the full flush of spring had given way to that more lived in look of early summer. Flies were lifting off, but no fish could be bothered to chase them. Tying on a Gold Head Hares Ear nymph, a favoured pool saw the leader shoot forward and I reacted with a strike that brought a six inch brown tumbling to the surface on my second cast. Encouraging, but ten more minutes working the nymph through every nook and cranny saw only a short stabbing take from a small dace. 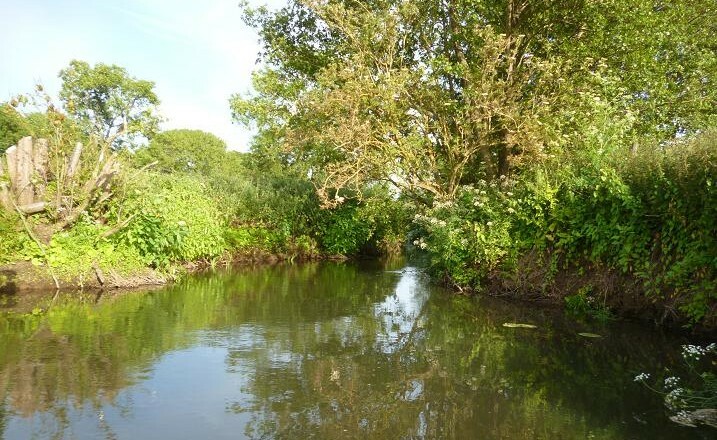 Ignoring the temptation to try more likely spots, I continued on down for half a mile, getting in the river at a large bay, which had always been overshadowed by trees and impossible to fish, but the farmer on the opposite bank had been involved in some severe pruning, opening up the area. Beginning with short casts, I searched out along the banks and in the flow, my anticipation waning with each failed offer. This pool looked so good and I’m sure that during the Mayfly fortnight, it had held many rising fish. Now making long casts, the nymph dropped beneath the bank and an overhanging branch to be sucked in with the tiniest ripple. The line flew up from the surface, as I struck and felt the pull of a fish, that was not a trout, reeling a small chub back to me with a feeling of mixed emotions, pleased that I’d actually hooked something from this pool, but disappointed that it was not a trout. Climbing back up the bank, I walked upstream to the next fishable spot, where a side stream flows into the main river. This stream had been heavily coloured earlier this year, but today it was clear and I waded up toward the confluence, casting as I went. I have netted some good trout from this corner in the past, but this season, apart from a brief tussle, I’d been without a fish. A jumping minnow was a good sign of something larger, followed a minute later by a bulging ripple beneath the surface. Very promising. Measuring my casts, I added distance, until the nymph dropped quietly into the fast water of the bend, retrieving line to stay in contact, as it drifted back, seeing the dull flash of gold, when the line straightened. The surface erupted on contact, not a big fish, but a trout all the same. My 7ft rod bent over, as the brownie tried to escape round the bend, but it would need a couple more years in the river, before that was possible and it turned to face my waiting net. Still with it’s parr markings and stand out red spots, this little wild brownie fought harder than any coarse fish twice it’s size. That was all from this once prolific spot and I climbed the bank back into the evening sunshine, the air cooling, making walking in waders more tolerable. Back in the river again, I waded up casting as I went, still looking ahead for rising fish, the surface now criss-crossed by scudding flies, but saw none, although the nymph kept me busy missing a few, while adding to my tally, a couple of junior browns, along with another small chub, keeping me interested. Further up at the tail of a pool, I spotted the tell tale rings of a rising fish, the casual nature of the rises indicating something in the surface film and tied on a size 16 Tan Emerger, wading slowly, until in range. The air was dead still and the cast allowed the fly to drift down to the surface; taking my time to get it right, being rewarded with a confident take. The river boiled, as a better sized brown burst into life, spending more time in the air than the water, gyrating at my feet, then throwing the small barbless hook, before I could get my net to it. Pondering my loss of the evening’s best trout, my eye went to a disturbance under the bank opposite, a mink was swimming upstream, clambering out over a sunken branch, then continuing submerged, to disappear into the pool. Another one that has avoided the traps. Last stop was a deep, tree shrouded pool, where side casts with a short rod can get results, and I made successive casts with the Emerger along the edges, where I expected fish to lie. This drew a blank, so a Hares Ear went on, to be seized in a back eddy by a battling bar of silver, these browns now common on this river. With 30 members in the syndicate, it surprises me that I do not meet other anglers on the water, but that is their loss and my gain. There was still plenty of light to fish, but I’d had my fill for a while, with no larger trout taken and I left for home, where a slice of still warm carrot cake was waiting.